Sometimes it is easy to get stuck in a food rut around our house, making the same things over and over again. We have our favorites around here, and often we fail to branch out from them. In an effort to get a more varied menu going in our house I am going to start sharing 5 recipes every Monday that we are trying at our house this week! Hopefully it will help you branch out too and try new things! So without further ado let's start off this week's Menu Monday round-up! 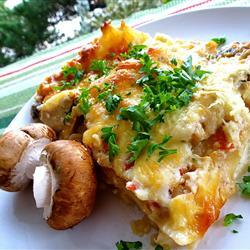 This recipe hails from the blog Edible Perspective. It caught my eye with it's lovely red-ish orange color. Just looks divine! 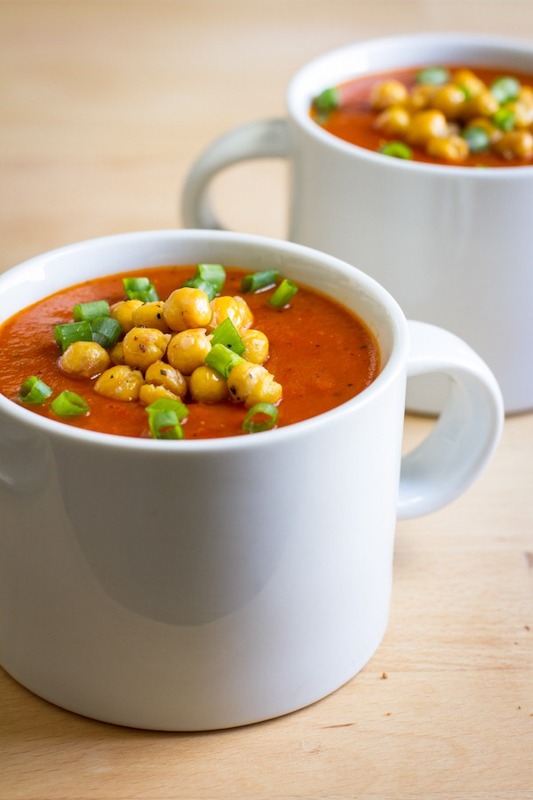 Fall is a time for soup in my opinion, so I like to have at least one soup recipe planned a week (despite my husband pretty much hating soup... silly husband!) We will probably serve it with some bread maker bread. Yum yum! Or maybe a Grilled Cheese Sandwich. Now that sounds good! 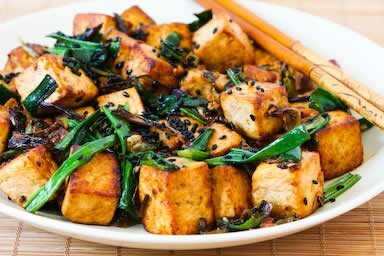 A week's menu at our house would not be complete without a Tofu recipe. I know, you must be thinking "How the heck does she get her children to eat tofu?!". The answer is, my children beg for tofu, it is their favorite food. Yes, you heard right. My 5 year old and three year old both love tofu. 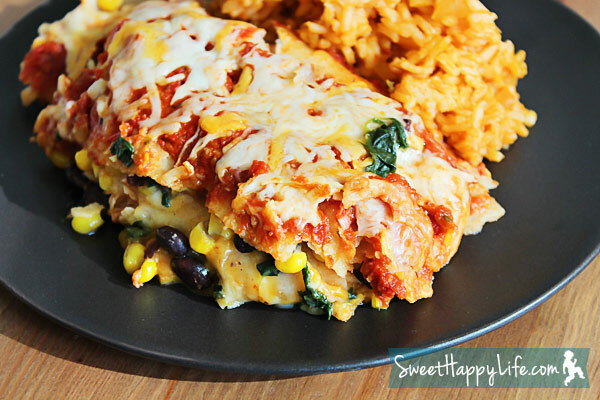 This recipe from Kalyn's Kitchen looked amazing today, so on the menu it goes! This amazing looking concoction comes from Sweet Happy Life. The reason it landed on my menu this week? It's a crockpot recipe, which can be a lifesaver on a day when I have a lot to do. This may end up being a Friday recipe, so I can make my Husband do it before he goes to work (Yes, I make my husband cook occasionally, mostly on weekends). I love that it uses mostly stuff I have on hand, but I will be skipping the homemade sauce just for convenience. 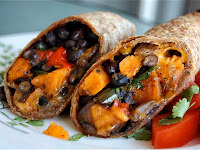 These are a favorite around here, despite my husband professing he doesn't like sweet potatoes. I found this recipe on Tasty Kitchen, which has become one of my favorite places to find recipes. In an average week we usually find two recipes from that site on our list. These are quite delicious, and pretty easy. They give me that sweet and savory combo that I am a sucker for. Well there you have it folks! That's what is on the table at our house this week! They will be supplemented with a dinner out (Rumbi's is giving away free meals this week if you bring in two cans of food for the food bank! Good for the community, and good for your wallet! ), and a quick prepare recipe. All of these recipes are vegetarian, and the top two are vegan. If you try any of these recipes let me know, and leave a review on the websites they came from! I'd love to see what you think! Those burritos look yummy! The tofu looks like it would be terrific if I just added in chicken....LOL. The burritos are really good! I highly recommend them! We have them quite often. The boys love them made as quesadillas instead of burritos, easier for little hands I guess. I think they are what we are going to have tonight. As for your tofu comment. Ryan insists his favorite food right now is bacon wrapped tofu.